Sometimes, the creator of a product has summed up their invention in a way that could not be more concise or better written. This is one of those times. "This is CUPPOW - a solution for easier drinking from a canning jar. 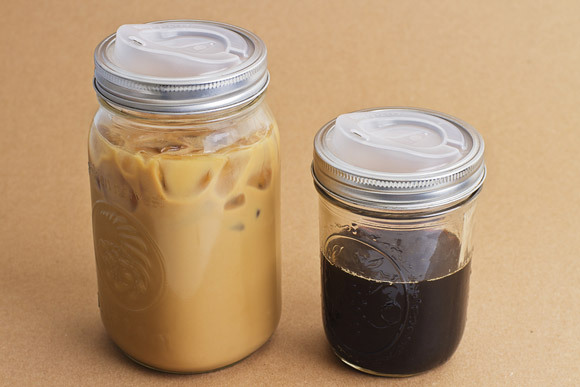 The canning jar already makes an awesome platform for a travel mug: it's easy to clean, made of heat resistant glass, cheap, durable, and when sealed they don;t leak. The only problem is that with their large openings, canning jars are not great for spill-free sipping while on the move. So we adapted it - made a new lid that lets us drink like a boss from virtually any wide-mouthed canning jar. It's a simple eco-friendly alternative to poor performing and messy disposable hot cups, and over built and expensive travel mugs." Well said Cuppow makers. We couldn't agree more, as we ourselves use the mason canning jar as our primary drink vessel in the home for all the above reasons, only adding that they look totally hillbilly badass. You can learn more here.